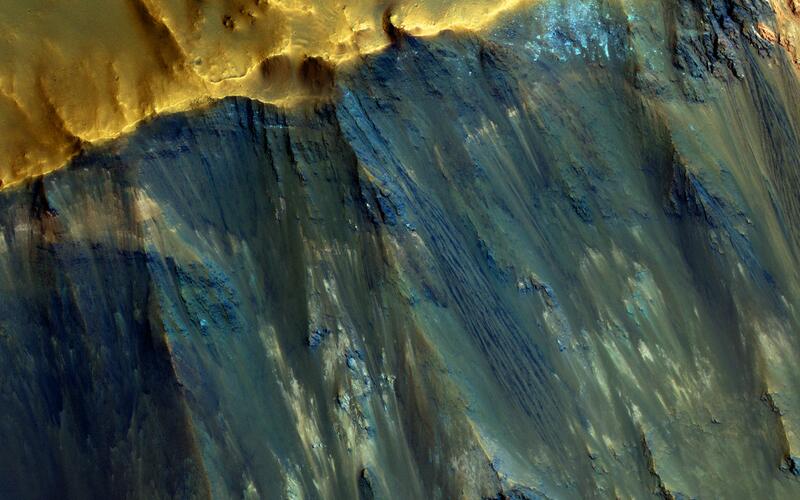 Impact craters expose the subsurface materials on steep slopes. 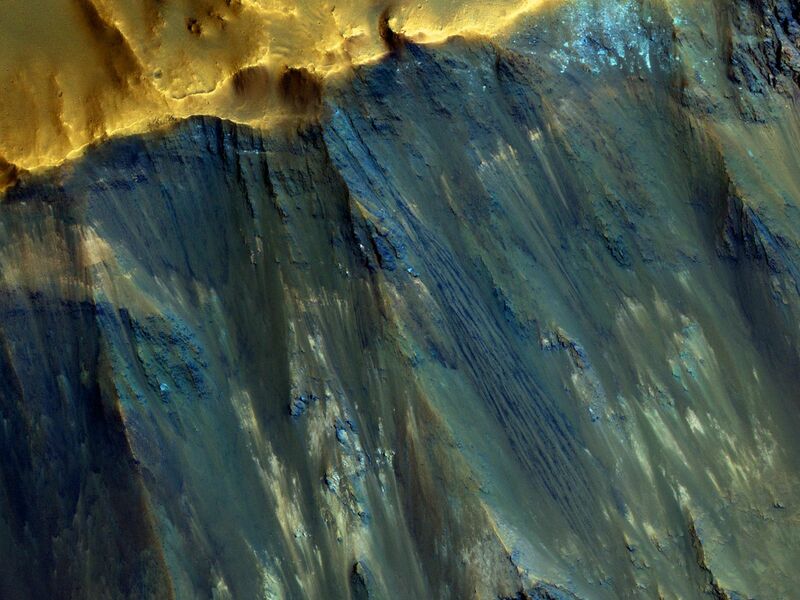 However, these slopes often experience rockfalls and debris avalanches that keep the surface clean of dust, revealing a variety of hues, like in this enhanced-color image, representing different rock types. 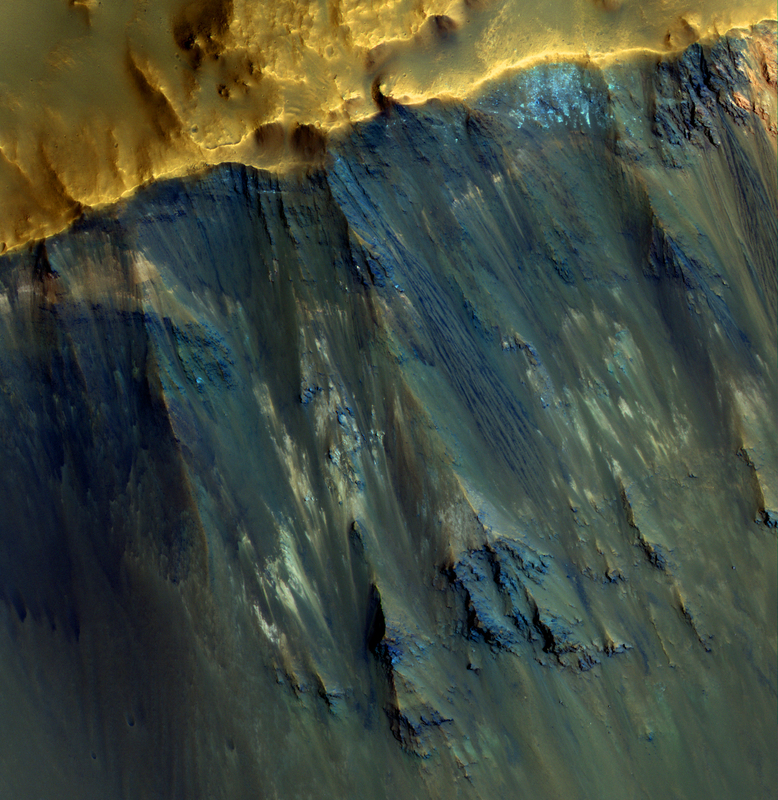 The bright reddish material at the top of the crater rim is from a coating of the Martian dust. 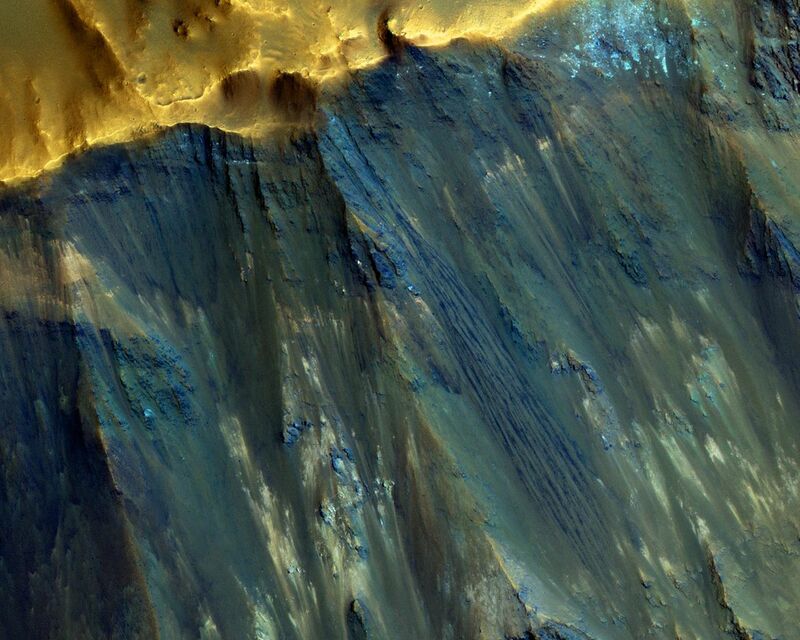 This is a stereo pair with ESP_021454_1550.